Progress Energy is studying proposals from contractors for the repair of the damaged containment structure of its idled Crystal River nuclear power plant. The company has also extended its merger agreement with Duke Energy. In a status update to the Florida Public Service Commission (PSC), the company said that it continues to "analyze and refine information related to the engineering, costs, and schedule" for the repair of the unit. Progress said it expects to "continue this analysis through the first quarter of 2012." In particular, Progress told the PSC that it has received responses for its request for proposals from contractors to repair the reactor's containment and is "currently in the process of analyzing those responses." The company expects to complete its analysis of the responses by March, after which it will provide the PSC with further details on the repair analysis. Crystal River is a pressurized water reactor that normally produces 860 MWe, but it has been offline since September 2009 when a refuelling and 20% uprate outage began. A hole was made in the plant's reinforced steel containment structure for the replacement of its steam generators, but engineers noticed this had caused part of the concrete to delaminate. This was repaired, and the concrete re-tensioned, but the same problem was found in at least one other place with still more areas requiring attention. The containment stands as a major element of the plant's nuclear safety provision and is over one metre thick, laced with horizontal and vertical steel tendons and lined with steel about one centimetre thick. The delamination was occurring over 20 centimetres into the concrete. 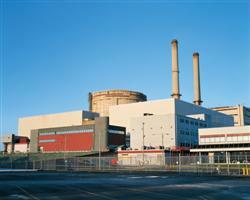 The plant had originally been due to restart in April 2011 following the uprate, but in June 2011 Progress Energy said that it did not expect it to restart until 2014. At that time, its preliminary cost estimate for the repair was put at between $900 million and $1.3 billion. In its latest status report to the PSC, Progress said that it has taken appropriate actions to maintain the plant's containment in a safe condition pending further analysis of the engineering, costs and schedule for the repair. The company also noted that the physical condition of the containment has not changed over the past few months. Meanwhile, Progress Energy and Duke Energy announced that they had mutually agreed to extend the deadline for their merger agreement by six months. Announced a year ago, the merger would see a combined company, called Duke Energy, having an enterprise value of approximately $65 billion and market capitalisation of $37 billion. It will have some 57 GWe of generating capacity from a mix of coal, nuclear, natural gas and renewables and will serve a customer base of some 7.1 million homes in North Carolina, South Carolina, Florida, Indiana, Kentucky and Ohio. Nearly 20% of its capacity will be nuclear. The US Federal Energy Regulatory Commission conditionally authorized the proposed merger in October 2011, subject to the two companies putting in place acceptable mitigation measures to ensure that the merged company does not adversely affect regional power market competition. However, having not received all the necessary regulatory approvals by the original 8 January deadline, Duke and Progress have now extended the agreement deadline to 8 July 2012.